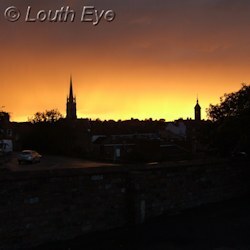 Louth won the 2012 BBC Countryfile Magazine Award for the best market town. The award was chosen by a public vote, and Louth soundly beat towns such as Richmond and Ludlow to take first place. I think we have to declare that a success: before this award, I never even realised Countryfile had its own magazine. After planning decisions on a major development at Fulmar Drive, the town council meeting on Tuesday 21st August was relatively subdued. Plans for 13 houses in Quarry Road were rejected once more by LTC, because the amended plans didn't show appropriate capacity for pumping water. The town council approved plans for UPVC windows at a house in Queen Street, and building 3 dwellings to replace outbuildings in Lee Street. Councillor Margaret Ottaway talked about the need to enforce the speed limit, and also enforcement against antisocial behaviour. "I could name at least 14 residents who are very upset and disturbed by the cars and the scooters," she said. 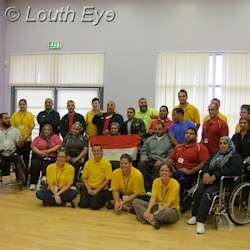 The Egyptian Paralympic weightlifting team took time out of their busy training for a meet and greet at the Meridian on Wednesday afternoon. None of them spoke any English, but they introduced themselves and answered questions through an interpreter. They held an impressive number of gold, silver and bronze medals between them - I gave up counting after a while. They compete in categories according to their own weight, and some can lift many times their own bodyweight. 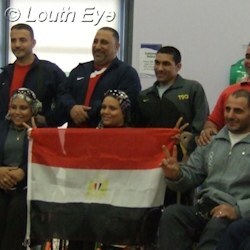 One of the competitors was a veteran of five Paralympics. Their events are scheduled between 30th August and 5th September. 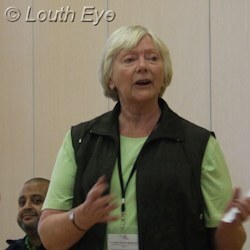 Councillor Doreen Stephenson was there to thank East Lindsey, St Bernard's Special School, and the team of volunteers who have made it possible to host the athletes. "The whole team of volunteers have been fantastic," she said. No, it's not zombie Barbara Cartland clones, but something that's worrying in its own way. Indian balsam is an invasive non-native species. If my identification is right, there seems to be rather a lot of it creeping along the canal banks between Riverhead and Ticklepenny Lock. The Environment Agency have guidelines on dealing with invasive plantlife (PDF), and they're quite alarming. 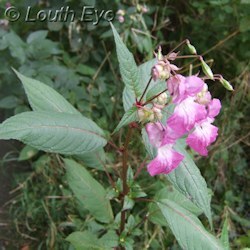 Similarly, the charity Plantlife have a campaign going against certain species on non-native plants, and they name Indian or Himalayan balsam as a particular problem. The trouble is, although it's quite good for bees it quickly spreads and crowds out other native plants, and when it dies back in winter it leaves the banks vulnerable to erosion. That can't be good news for anyone worried about flooding. A new zumba group will be starting on Saturdays at Nichol Hill Methodist Centre, from 1st September. The Latin inspired dance class will be run by Donna Royle. Email donnaroyle@hotmail.com for details. Spout Yard Management Trust (which David Hall is on) is in need of volunteers. The park is one of Louth's beauty spots, but it won't stay that way without assistance. 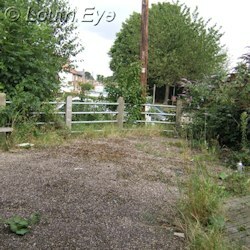 They're looking for wardens, gardeners and people to help with maintenance. If you think you could do that, please ask at the kiosk.